we invite you to visit RhinoBldg.com or call (940) 383 9566 or1-888-320-7466. 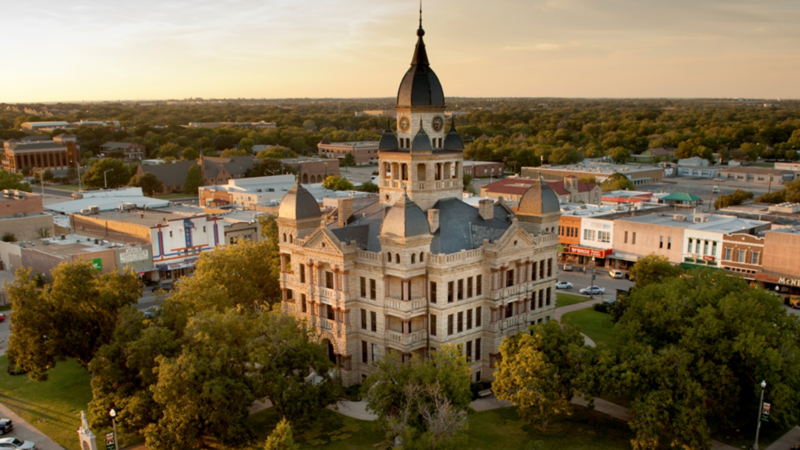 Rhino Metal Buildings is locally owned and operated in Denton, Texas and has been in business for over 17 years. They have an A+ rating from the Better Business Bureau and thousands of Satisfied customers in 46 states from coast to coast and internationally. They ship from multiple manufacturing locations to ensure minimum freight cost and pride themselves in on-time deliveries with no surprises and complete Customer Satisfaction. Over 30% of their sales come from repeats and referrals. There is no finer combination of Quality, Price and Service for a metal building anywhere in the world. You are welcome to visit their offices on I-35 just North of Hwy 380 in NW Denton or take a look at over 70,000 SF (9 buildings at www.RhinoBizPark.com) in various sizes at the 3800 Block of Market St off Loop 288. Rhino can supply quality metal buildings from 30′ x 50′ in size to whatever it takes to serve your needs. Rhino has a building one block from the Stock Yards in Fort Worth that is over FIVE ACRES under roof. The owner has purchased numerous others as well. Horse barns and riding arenas are just two of their many specialties. Visit their website for a tour of their complete selection of buildings and popular affordable options (doors, insulation, windows, etc). Shady Oaks Offices is a 55,000 Square Foot, three building, 5.5 acre Campus Setting for Offices and is located at 1330 Teasley Lane in Denton (1/2 mile north of I-35 and 1 1/2 miles from Downtown Denton). Rhino Metal Buildings here feature beautiful standing seam roofs. Rhino also offers the finest in Warehouse Space at RhinoBizPark.com located on Market Street – 1 block east of Loop 288 on the East side of Denton near HWY 380, I-35, malls and everything. 940 594 4409 or JBrown@CEOClubsTexas.com.